With an area of 200 hectares Ballavpur Wildlife Sanctuary located on the fringes of the University town of Bolpur is just the perfect getaway for your next weekend. Just a kilometer from the Viswa Bharati University area, this lush Wildlife Sanctuary is home to three large water bodies (Jheel) which hosts migratory as well as resident birds in plenty. The sanctuary was established in September 1967 and has one of the most successful deer conservation records in the state. 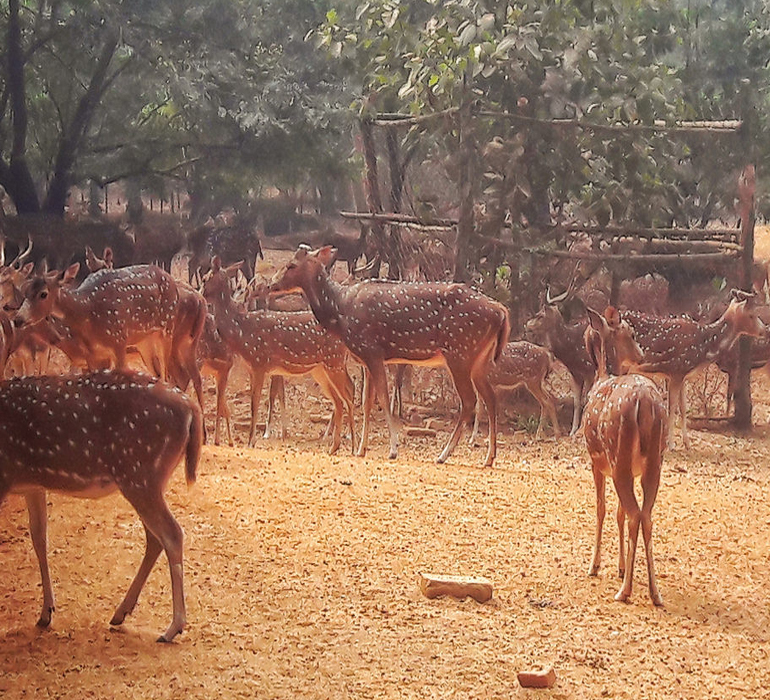 It is home to numerous Cheethals (Spotted Deer), Blackbucks and other resident animals like jackals and foxes. Visva-Bharati (A Central University is a public central university located in Santiniketan, West Bengal. It was founded by Rabindranath Tagore who called it Visva-Bharati, which means the communion of the world with India. Until independence it was a college. Soon after independence, in 1951, the institution was given the status of a university and was renamed Visva-Bharati University. The English daily, The Nation, notes using the money he received with his Nobel Prize for Literature in 1913, the school was expanded and renamed Visva-Bharati University. It grew to become one of India's most renowned places of higher learning, with a list of alumni that includes Nobel-winning economist Amartya Sen, globally renowned film maker Satyajit Ray and the country's leading art historian, R. Siva Kumar, to name just a few. 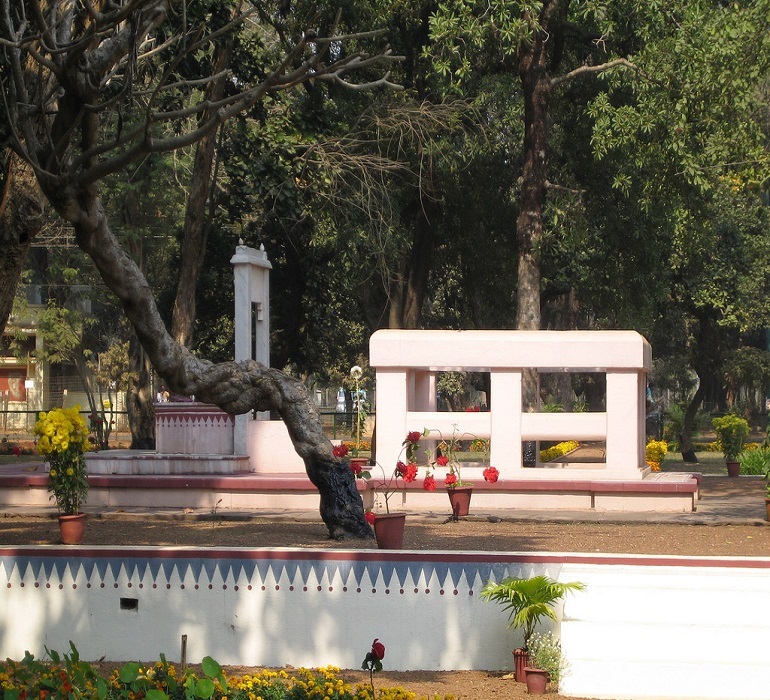 Tourists visiting Tagore’s Ashrama can get guides from the entrance of Rabindra Bhaban or Uttarayan Complex. In 1863, this area saw its first building being constructed, which was a guest house constructed by Rabindranath Tagore’s father Maharshi Devendranath Tagore. 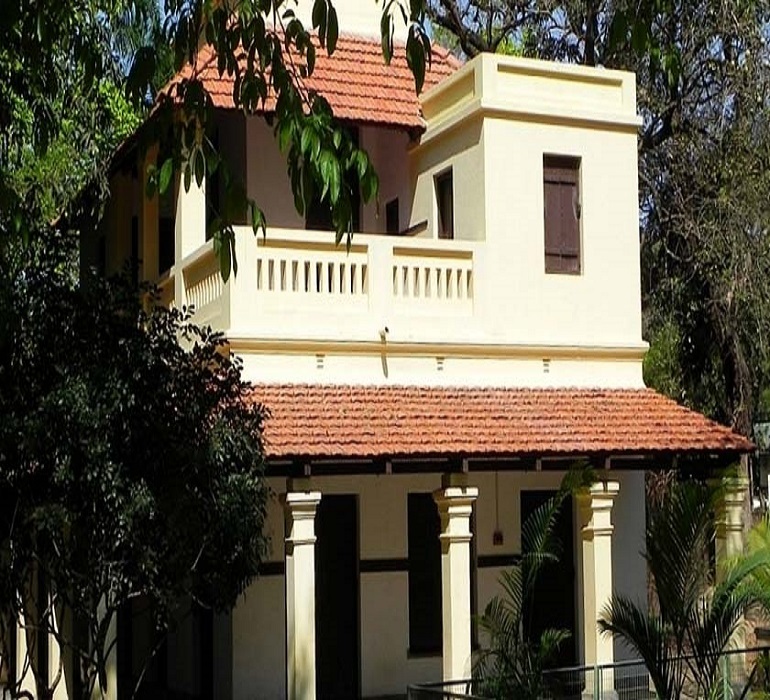 This guest house was named Santiniketan, which gradually became the name of the entire area. The hermitage was formed by Maharshi Devendranath Tagore in 1888 with the help of a Trust Deed. 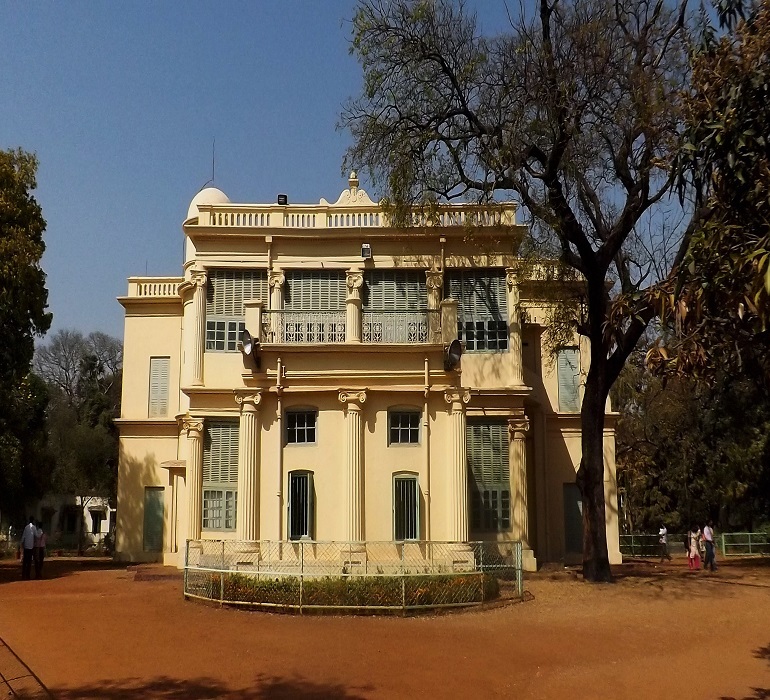 The most popular buildings associated with the Tagore family are Dehali, Santiniketan Building, Nutan Bari, etc. 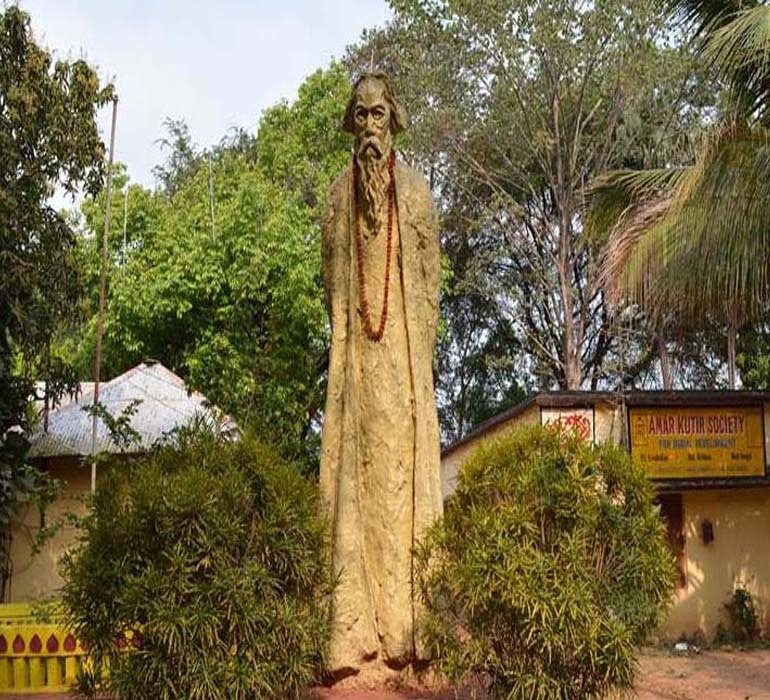 Amra Kunja or the mango grove is the place where major functions and school classes are held and even few institutions of the Viswa Bharati are situated in this area. Since classes in Santiniketan are mostly held outdoors, visitors are not allowed to walk into these areas. On the eastern side of this hermitage, there is a huge banyan tree on a hilltop, which was the favoured spot of Maharshi Devendranath Tagore. This ashrama is open every day except Wednesday. Tourists interested in purchasing handicrafts and artefacts can visit Amar Kutir, which is located close to Santiniketan. Amar Kutir was a society or a cooperative movement by Rabindranath Tagore, to aid and develop the art and craft of the village folk. This society’s building was an ashram once where political prisoners of the British period were kept. The society is now known to produce handicrafts and goods like bamboo and batik crafts, Kantha stitched saris, leather goods, dokra jewellery and many more items. The Chhatimtala is famous as Rabindranath Tagore used to have classes with the students of Viswa Bharati here. The place has a model of a palanquin built, which Maharshi had used to travel to Shantiniketan, which was known as Bhubandanga before . The place earns its name from the famous Chhatim tree and being the place which is the precursor behind the history of Shantineketan. A coveted place in the Viswa Bharati campus where in the early days Maharshi Debendranath Tagore used to sit and pray either alone or with others. All convocation & other gatherings use to be held here even up to the recent past.It is a big cemented platform under a 'Chhatim' tree. A typical type of meditation as per the religion belief of the Tagore family use to held here in the early days. Now it remains under lock & key in all days through out the year except 3 or 4 special occasions like birthday of Maharshi & Gurudev. It is a retreat resort, a unit of Mark Hotels & Resorts Pvt. Ltd. Spread amidst 5 acres of landscaped grounds, are well appointed with 34 Air-conditioned cottages. The multicuisine restaurant offers a delectable array of authentic Bengali, hearty North Indian, delicious Tandoori, exquisite Chinese & Continental and traditional South Indian Cuisine. There are Air-conditioned Conference Halls accommodating 25 to 300 persons for conferences & seminars. There are a wide variety of Indoor & Outdoor games and facilities to help you relax and enjoy yourself, which include a Health Club, Swimming Pool, a Fishing Pond and many more. Kolkata Booking Office Address: Mark Hotels & Resorts P Ltd 48A, Dr. Sundari Mohan Avenue, 3rd Floor, Kolkata-700014 West Bengal India. Liaison Office Address: 16, DDA Building, Rajendra Bhawan, Rajendra Place, New Delhi 110008. Designed by AsiaTech © 2018. All Rights Reserved.